Squier is one of the budget subsidiaries of Fender Musical Instruments. 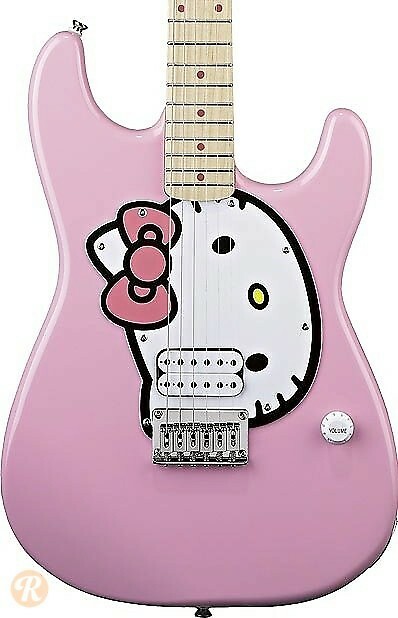 The Hello Kitty Stratocaster was an Affinity-style guitar with a single humbucker pickup. It included a Hello Kitty pickguard with corresponding artwork on the back, offered in either black or pink finish.